Get ready for it Sydney! 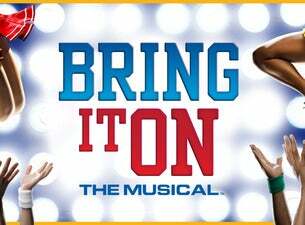 BRING IT ON THE MUSICAL is set to premiere this August for strictly 2 weeks only! Following a sold out debut season, and recent nomination for Best Production of a Musical (Green Room Awards), this high energy hit features an exciting fresh sound and explosive choreography with aerial stunts. Sprinkled with sass and inspired by the hit film, BRING IT ON is a hilarious, universal story that is sure to be everything you hope for and nothing like you expect. These tickets won't last long - join the wait list and get first access to the best seats.